There’s an increasingly growing sophistication among mobile phone users which can only mean that the days are long gone where consumers were just content on using their mobile devices to talk back and forth wirelessly over a network, or by sending out the occasional text message. There is now a new level of usage as smartphones are now powerful mini super computers which fits in your pocket. Mobile E-mail access on their devices appears to be one of the necessary functions for the majority of mobile users. This based a recent study which revealed that consumers are willing to open and read marketing based e-mails which they receive on their mobile devices. This growing trend represents an excellent opportunity for retail based merchants and marketers to be able to reach interested mobile users, while it does pose a few challenges as well. Similar to the web based content which is displayed on a mobile devices screen, online retailers also need to make sure that their e-mail marketing messages also formats correctly on the smaller screen, so that their consumers are able to read them clearly as well as quickly without having to scroll down a lot. So what this means is limiting the number as well as the size of images used, while creating succulent eye grabbing headlines, and using readable fonts which displays clearly on the much smaller mobile screens. It’s now just as important in paying attention to the design and format of a mobile based e-mail message as it is designing a mobile website. All e-mail campaigns now have to be scaled properly to the smaller mobile format, which means that marketers can not just send out their same existing e-mail campaigns on the mobile channel. Mobile campaigns now need to be strictly tailored to this channel. So distinct and equal attention has to be applied by retailers when they’re creating e-commerce and m-commerce websites, mobile apps, developing social networking strategies, or producing product based rich media for streaming video. Getting the wanted look as well as feel of a mobile e-mail campaign and doing it properly is critical since all consumers are becoming a lot more conversant and savvy with mobile technology. They are now also becoming extremely discriminating regarding how they choose to interact with business through the mobile channel. Consumers are now recognizing that when a company doesn’t know or understand the nuances of the mobile world, and that’s becoming clearly recognizable, especially when it comes to mobile e-mail marketing. When the mobile consumers experience in the mobile channel isn’t optimized properly, it does raise certain questions in the mind of the end user regarding how well the merchant understands their needs. It can also potentially degrade or devalue their brand as well. One of the bigger issues of effective mobile marketing is knowing when the consumers are willing to receive and thus read their e-mail message, and when they can’t be bothered to read your marketing email. Since the majority of the mobile users have their personal as well as their work e-mail forwarded to their mobiles, they’re drawing boundaries as to when they’ll actually check the personal messages that they receive during their work day. Based on a study, it was found that one of the worst possible times to send any marketing based material is during the morning hours. It was discovered that early to mid morning is when the majority of mobile users are more focused on their upcoming workday and as a result, would rather read work-related messages and may delete yours. 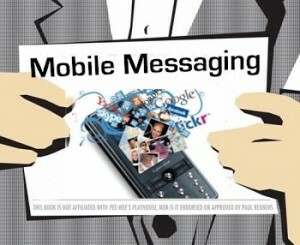 So there are a lot of marketing messages which are not read or missed by these mobile users during this time frame. A better time to target these mobile users is in the evening or the weekends when they have a lot more leisure time to go through all their non-work-related e-mails. Retail marketers are required to understand the exact mindset of the mobile user and where they will most likely to be when the e-mail message is sent. This will significantly improve the open, read and response rate.